There are cases when you are composing a blog or social post, but want to continue it later on and have them published prior to the approval from your team. For cases like that, there is a much need "Draft" option. 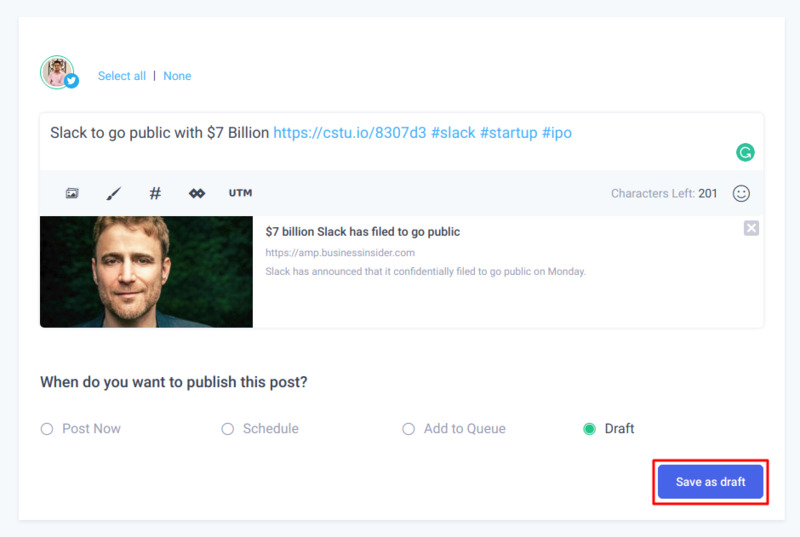 Your Draft Posts will also be available in Composer Listing as well as in the Planner module.